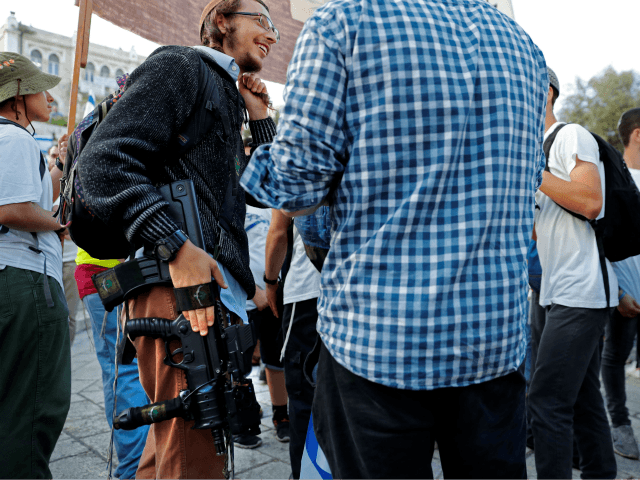 TEL AVIV – Over half a million Israelis are now eligible to receive gun licenses after authorities significantly eased regulations with the stated aim of combating terror. Any Israeli who has completed level 07 rifle training in the military, which includes hundreds of thousands of veterans of infantry units, can now legally carry firearms. The old directives meant Israelis needed to prove that owning a firearm was necessary for their safety, for example if they lived in a dangerous area. Those with permits were also required to attend regular training sessions and undergo psychological testing. The reform also stipulates that officers with the rank of first lieutenant and above will not be required to return their guns upon discharge. There are currently around 145,000 gun-license holders in Israel at present, excluding soldiers, police and security guards. According to the Public Security Ministry, this number will likely grow by some 40,000 in the near future. The loosened regulations also allow volunteer police and paramedics to apply for permits. The lone-wolf terror attacks saw Palestinian individuals carry out stabbing, car-ramming or shooting attacks.